SDCC 2018: Awesom-O! ‘South Park’ Announces Plans for Comic-Con! Good news South Park fans! Comedy Central has announced their plans for San Diego Comic-Con 2018, and the cable network is bringing two ‘super fun time’ attractions to the con: Cartman’s Escape Room and the Member Berries Challenge. Those that dare to enter Cartman’s Escape Room, will face a series of puzzles that will test the knowledge of ten South Park fans, who must work together as a team to free themselves before time runs out. This attraction will be housed at the San Diego Wine Center (200 Harbor Dr. #12) and will be open/free to the public as well (July 19-21 from 9:30am-7pm; July 22 from 9:30am–5pm). The Member Berries Challenge is found inside the convention center at Booth #3729. As for the event itself, fans will need to answer “three South Park trivia questions as they sit in Sharon and Shelly’s seats.” If one fan can answer all three questions correctly, they will walk away “clean and be rewarded with their very own limited-edition Member Berry.” Yet if you guess one wrong, ‘Member Berry’ juice will come out of Randy’s mouth to get you all dirty, so make sure you do your homework before doing this. The booth will, however, provide ponchos as well as protective glasses for your convenience. 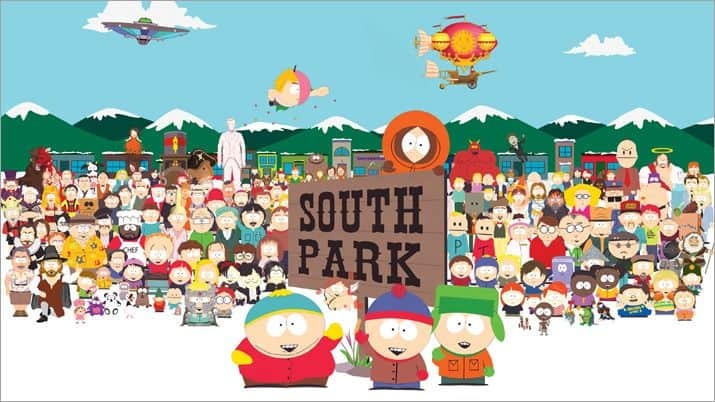 And finally, fans will also have the opportunity to play many South Park-themed games, as well as having the chance to revisit the show’s iconic scenes while at the booth. Oh, Comedy Central also announced on Thursday that South Park season 22 will premiere on September 26 at 10pm ET/PT. So, there you have it! Are you excited for these two South Park-themed attractions? If you are, please join the conversation by going to the FoCC Forums.